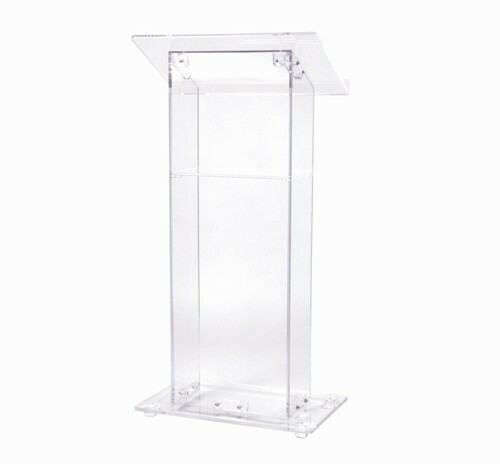 Clear Acrylic Lectern with Shelf - Non-Sound from Oklahoma Sound Corp. This Lectern is very popular in the Evangelical Church, or any modern business setting that calls for an attractive and unique looking podium. Assembly required.